Posted by Unknown / On : 6:08 AM/ Thank you for visiting my small blog here. If you wanted to discuss or have the question around this article, please contact me e-mail at Gps_86@gmail.com. Apple iPhone 3gs sometime got battery problem it drains battery quickly within some hours while battery shows full indication in such case we have to use charger many times. 5. 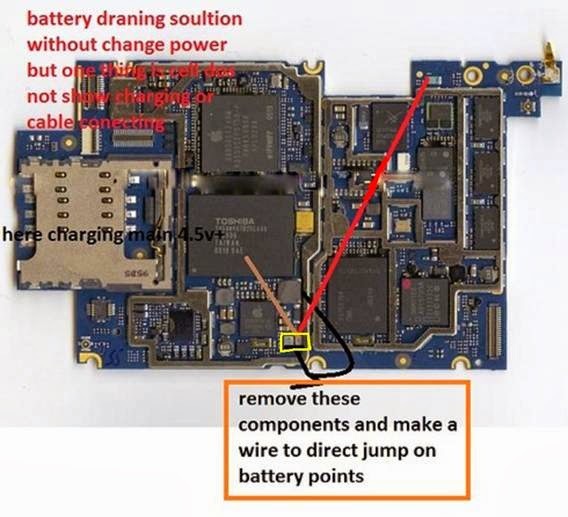 Then apply jumper from that point to direct battery point then problem will solve. 6. After all done we will get proper charging and battery backup but there is one disadvantage of this jumper that we cannot see charging process during process. After applying this solution take care about charging time that we should not exceed more than 2 hour because over charging can damage battery.